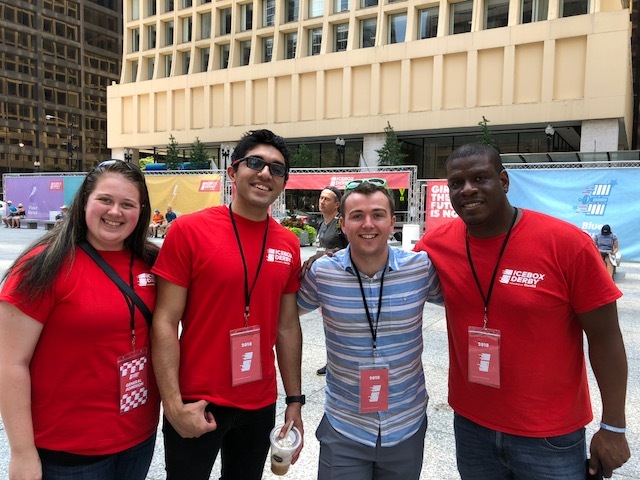 DeKalb, Ill. — No matter which team crossed the finish line first at a recent ComEd Icebox Derby in Chicago, a group of Northern Illinois University engineering students won. The students helped design and build the solar-powered go-karts used in the Aug. 4 event and worked with the teams of young girls competing. The fifth annual educational derby challenged 30 teenage girls ages 13 to 18 from throughout the Chicago area to race in cars created out of recycled refrigerators. The event aims to encourage girls to pursue STEM fields–science, technology, engineering and math. 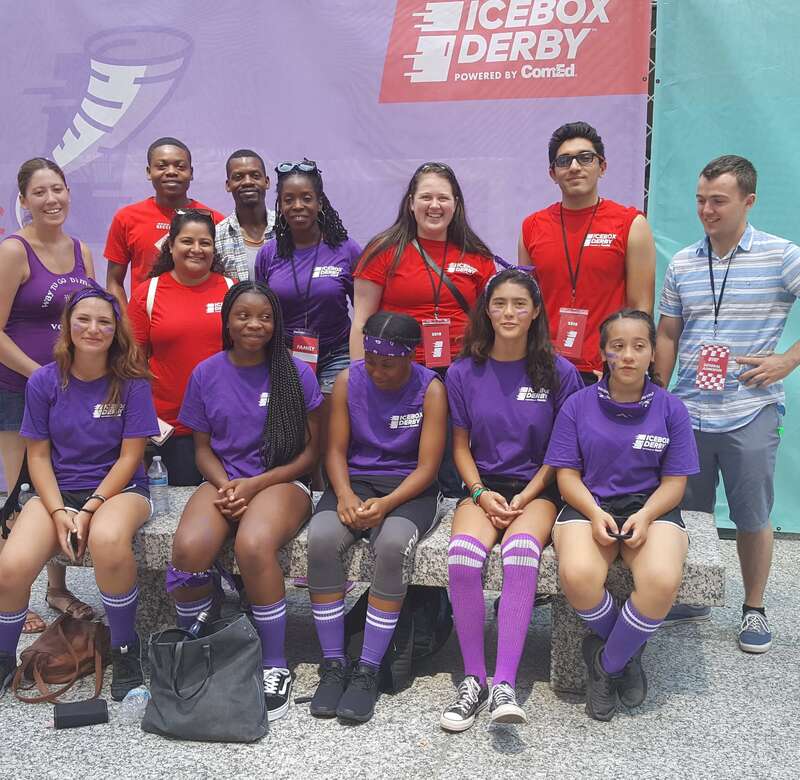 Beginning her senior year as an electrical engineering major this fall at NIU, 21-year-old Amy Kofoed of Mendota spent the summer working on the cars with several of her classmates, helped the girls on build days and attended the derby to cheer them on. An intern at ComEd, she saw engineering as a natural pursuit growing up and would like young girls to feel the same way. Kofoed, along with 22-year-old NIU graduate Karan Saini of Willowbrook and 25-year-old junior Sandhya Chapagain of Nepal, worked this summer to refine an ICE DAQ system created as part of a Spring 2018 Senior Design Day project by team members Saini, Luis Nunez, Jake Staudt, Rafael Ortega-Perea, Cesar Arredondo and Mike Waloch. The “Vehicular Data Acquisition” system basically was mounted into the refrigerator cars and used to track their speed. The students helped create and install the system in eight cars, with seven of them used by the seven teams in the Icebox Derby and the eighth used as a show car. Also as part of Spring 2018 Senior Design Day at NIU, the mechanical engineering team of Kenzie Kaiser, Mackenzie Thompson, Scott Hallow, Diontrae Terrell, Brent Foley and Daniel Nisbett created a lift used by all ComEd Icebox Derby teams. The lift allowed the girls to safely and easily see under the cars and move them around. This is the second year NIU students contributed to the event. “Last year, all we did was serve as a support staff, make sure the cars work. 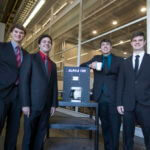 We didn’t participate to the level we did this year,” said John Shelton, an assistant professor for mechanical engineering who advised the students. 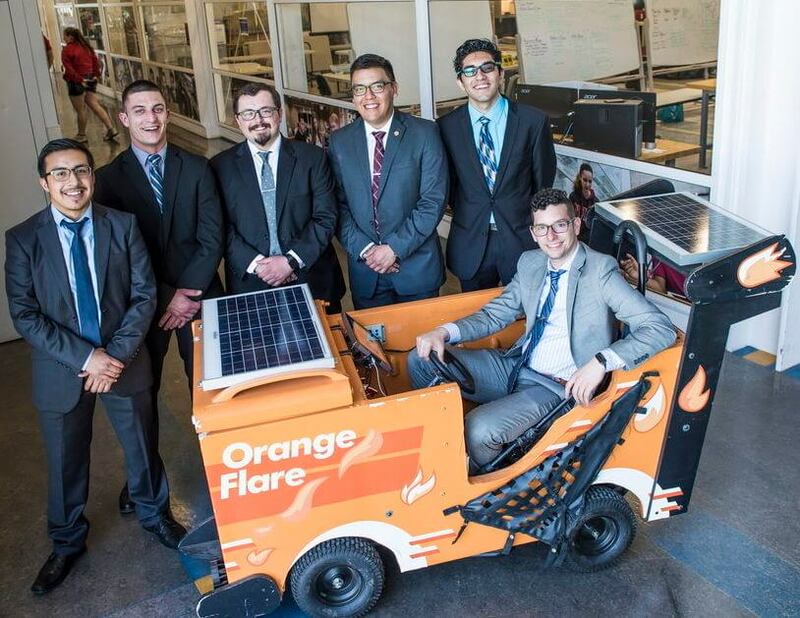 The effort represents students going above and beyond, said Federico Sciammarella, interim chair of the Mechanical Engineering Department. 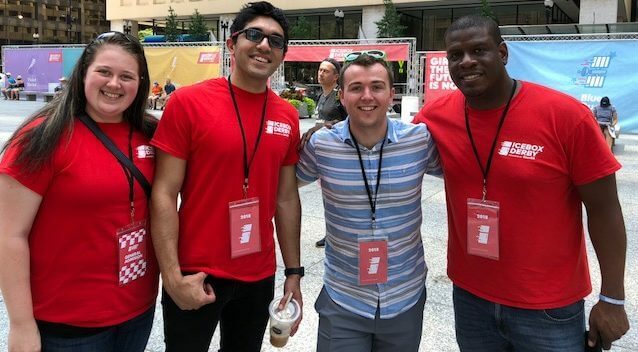 Not only did the students mentor, encourage and help younger students who potentially could go on to major in engineering, they impressed ComEd, he said. “They’re super-thrilled with what we’ve done and very happy with all the work,” he said.